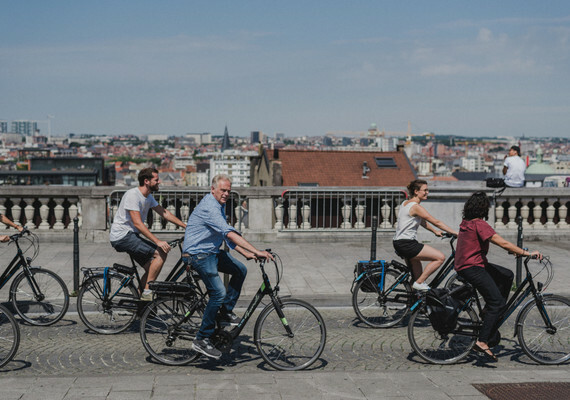 In Brussels, you can board most trams and metros with your bike without any additional costs. For now, buses are off-limits. Your bike is no longer roadworthy? You want to get it fixed without it costing too much? Or you want to fix it yourself? If you have a restricted budget, or want to try out cycling before going for a large purchase, or want bikes for children who are always outgrowing them… buying a bike second-hand is an ideal solution. But what to watch out for? And where to find one? Belgian weather: it is what it is. But don't let that stop you from cycling. Make sure you're well-equiped and easily visible, and don't forget to take good care of your bike. Qualitative, surprising, local and sustainable bicycle tourism, delivered by Pro Velo.